Edinburgh architecture is world-renowned and, in fact, there are many people that travel to the city specifically to see the exteriors of these beautiful buildings. September 26th and 27th will see more than one hundred buildings in Edinburgh throw open their doors to the public. The weekend event, the Doors Open Day event, organised by our friends at the Cockburn Association, will not only allow visitors to explore otherwise closed buildings but take part in walking tours and expert talks. We will, of course, be joining all the other architecture and history enthusiasts to catch a glimpse of some of Edinburgh’s finest buildings this month, but we also have some very exciting news about the future to announce. If you love architecture and history, this December will full of excitement. From the first day in December, Underbelly‘s ‘Edinburgh Christmas‘ will be turning the city into a ‘Doors Open’ advent calendar. From 1- 24 December, a different door – to a building normally closed to the public – will be opened in the City and will be aptly named, the 24 Doors of Advent. Dickins Edinburgh will have one of it’s very own properties featured…Rock House. Currently being restored by Studio Reed, the property is of huge historical significance. Stay tuned for more information. Located in Leith, Custom House was originally built in 1812 and in recent years has been used as a storage facility by National Museums of Scotland. Locals have been campaigning for the building to reopen and are now voting on its future use. Guided tours will take place throughout the weekend. Address: 66-67 Commercial Street, Leith. Sat-Sun 10am-4pm. The Signet Library building, designed by Robert Reid with interiors by William Stark, was completed for the Society of Writers to Her Majesty’s Signet in 1822. William Playfair and William Burn were also involved in alterations to the building. It is a classical masterpiece and a category A listed building, which now hosts exclusive events, and is home to one of our favourite Edinburgh afternoon teas, The Colonnades. This 16th Century courtyard house is set behind the Royal Mile close to Edinburgh Castle. The property contains significant architectural features documenting its 400-year history including a rare late 16th Century painted beam ceiling, an early 17th Century plaster ceiling and a late 19th Century ceiling by TK Bonnar. 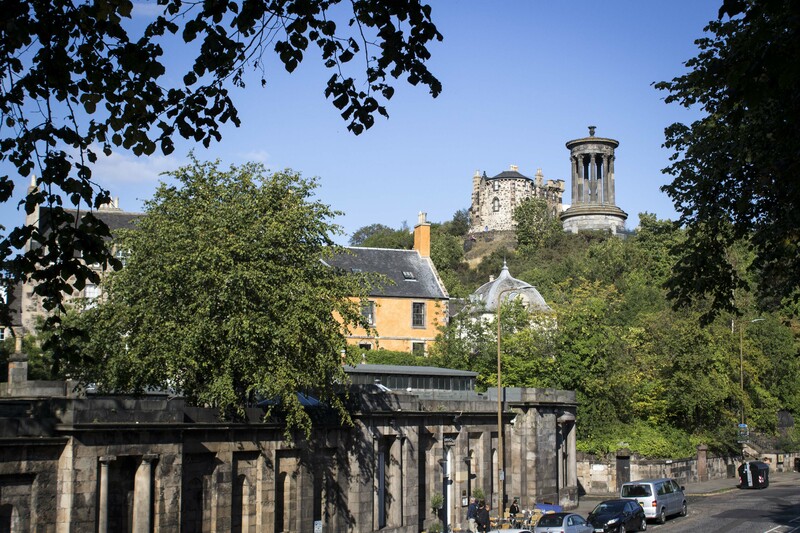 Over the centuries the building has been a merchant’s house, a venue for a banquet held by King James VI, aristocratic apartments, overcrowded tenements, emergency post-war housing, a Community Learning Centre, and an Edinburgh Fringe Festival venue. Many aristocratic, influential and creative people have lived or been associated with this building including King James VI, Sir John Clerk of Penicuik, Sir David Hume and Sir Patrick Geddes. As a Fringe Festival venue, Riddle’s Court has helped put artists centre stage early on in their careers including Stephen Fry and Maggie Smith. As part of Doors Open Day , there will be ‘hard hat tours’ of the construction site. Booking is essential, as are proper footwear! If you would like to find out more about any of the venues participating, please visit the Cockburn Association website or view their 2015 brochure here. We would love you to share your photos with us on social media. Don’t forget to like, tag or follow us on Instagram, Twitter and Facebook.